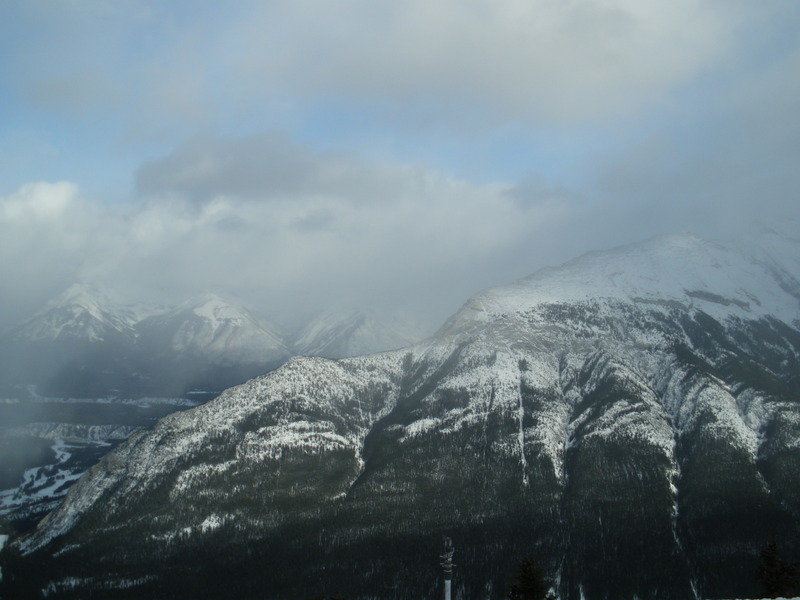 Sulphur Mountain is a great place to stop in Banff National Park, and is the perfect opportunity to take in the beautiful views from a higher elevation. Normally I would prefer to hike up, but this time I cheated. 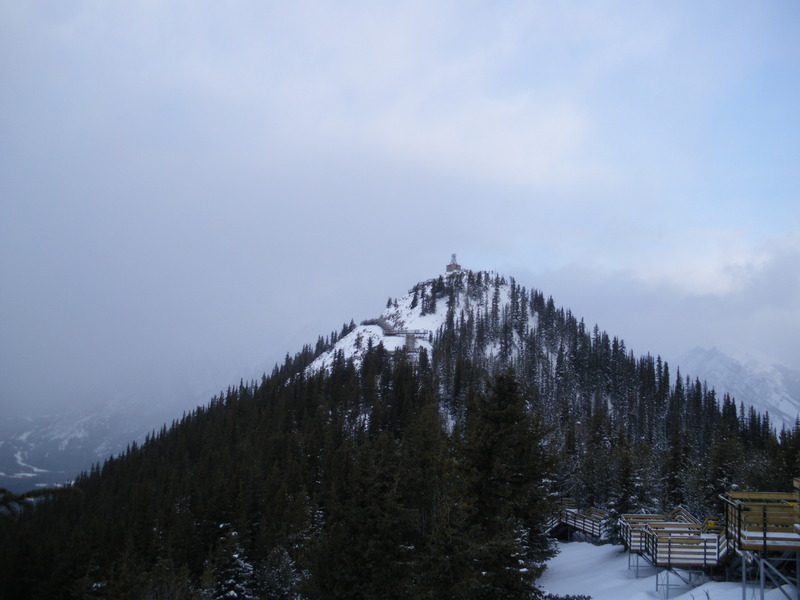 I’d been skiing at Mount Norquay in the morning, and didn’t quite have enough time to get to Sulphur Mountain to do the hike (it was December a couple of years back so not so much daylight!). Instead I took the gondola. Obviously it’s quite a bit faster than the hike up, but it’s also nice to see the treetops as you glide up the mountainside. 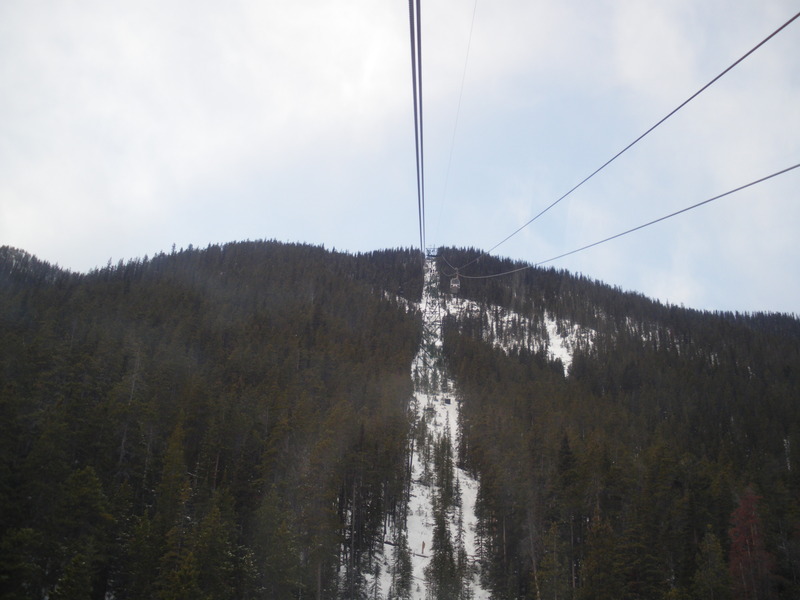 Well, sort of glide, it gets a little bumpy each time you pass a pylon. Once I reached the top, it was time to take in the views. It’s so different up here in winter, to summer, with the peaks and the valleys covered in snow. 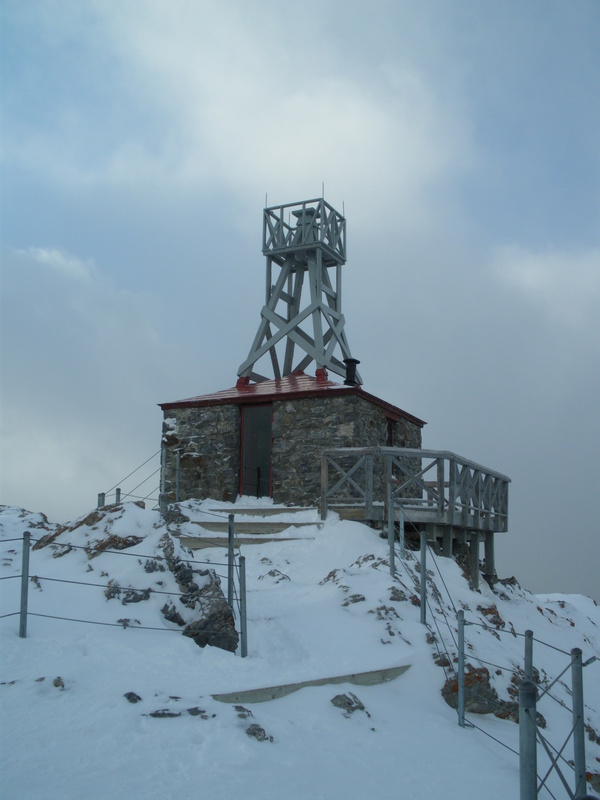 After spending a little bit of time at the upper gondola terminal on the observation deck, I went out onto the boardwalk and headed along the route to the Meteorological Observatory building at the top of Sanson’s Peak. 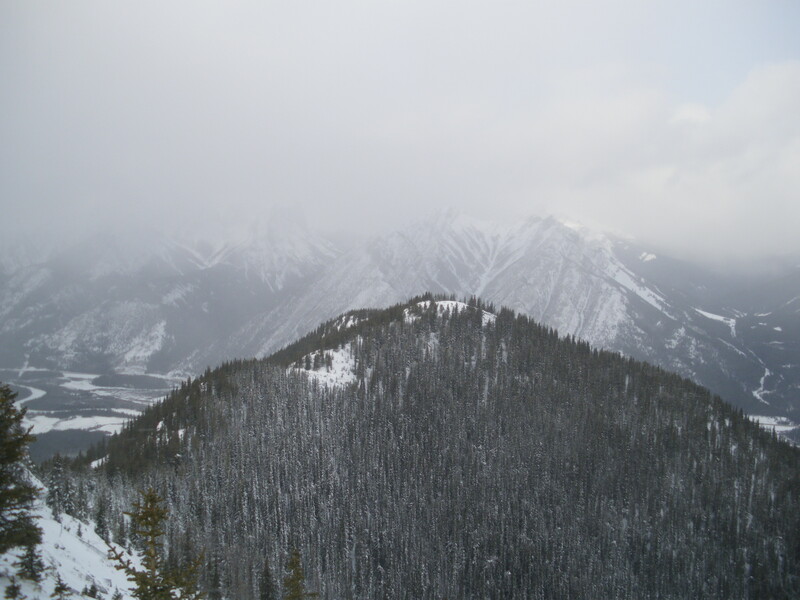 Though it was a pretty cloudy day, the views from the top were surprisingly good. Stopping to take some photographs at the top, I hadn’t realised quite how cold it was. 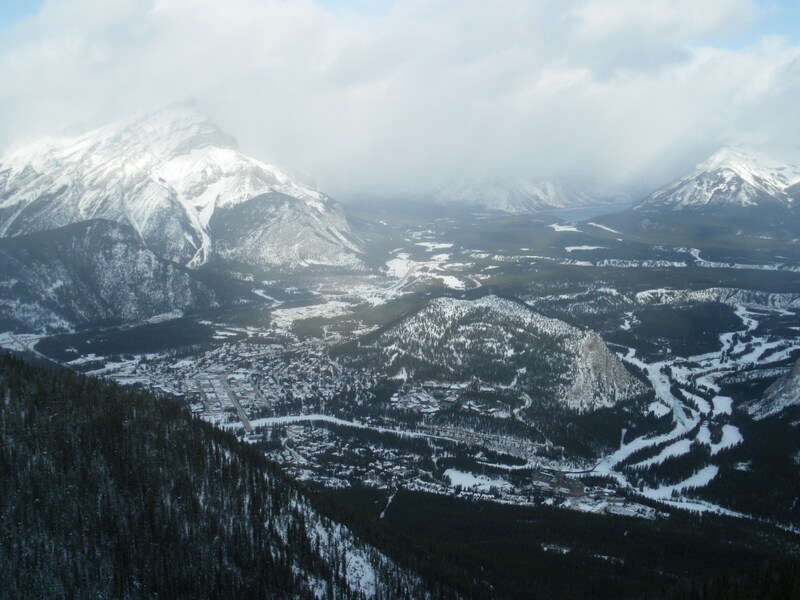 I’d changed out of my ski gear, after finishing skiing at Mount Norquay, so at this point I was wishing that I’d kept my ski pants on instead of changing into jeans! 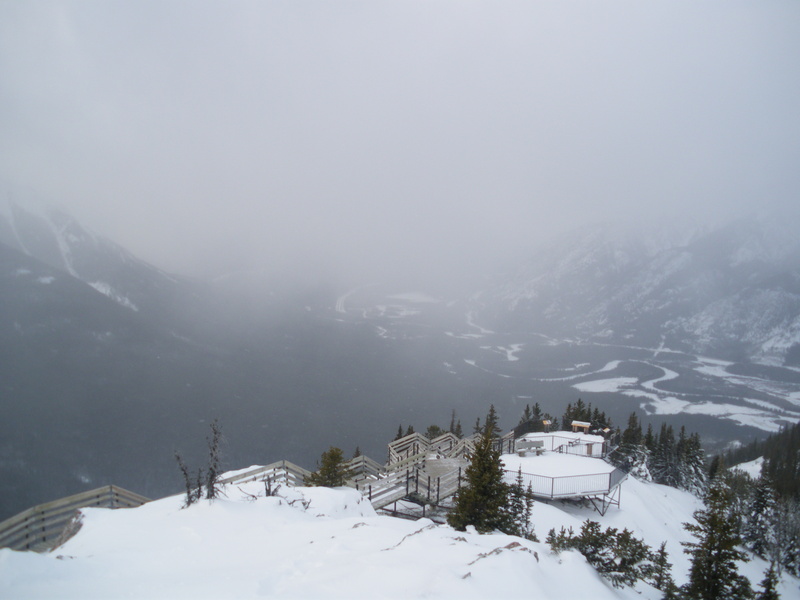 After spending as much time as I could at the top, I headed back down to the gondola station and hopped into a cabin and headed back down. Luckily I remembered to bring my swimshorts so went and warmed back up in the Banff Upper Hot Springs. 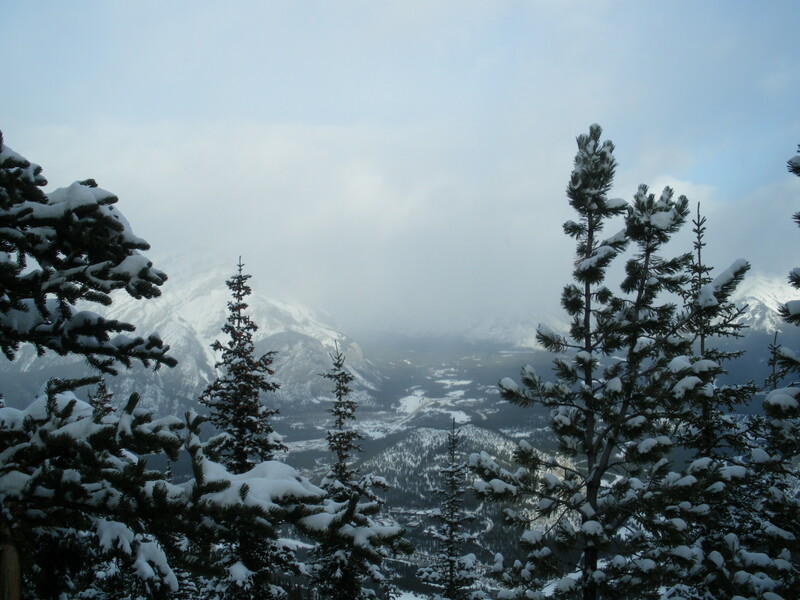 This is a great trip to do in winter – it will give you a completely different perspective on the mountains around Banff. Just make sure to wear or carrying some extra warm clothing with you, if it’s a cold day! Afterwards is a great opportunity to enjoy the Upper Hot Springs, so don’t forget your swimwear! 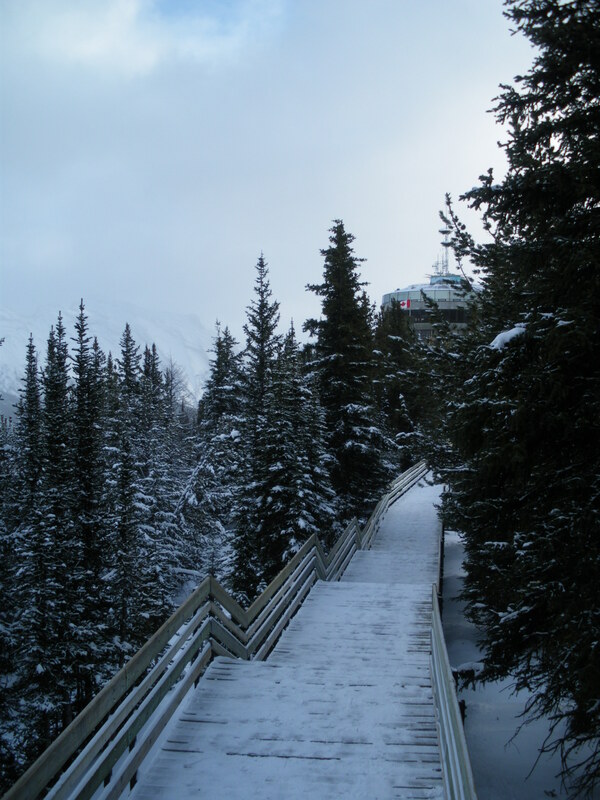 Now that sounds like an ideal combination – majestic scenery, snow and hot springs! It is such a beautiful part of the world. 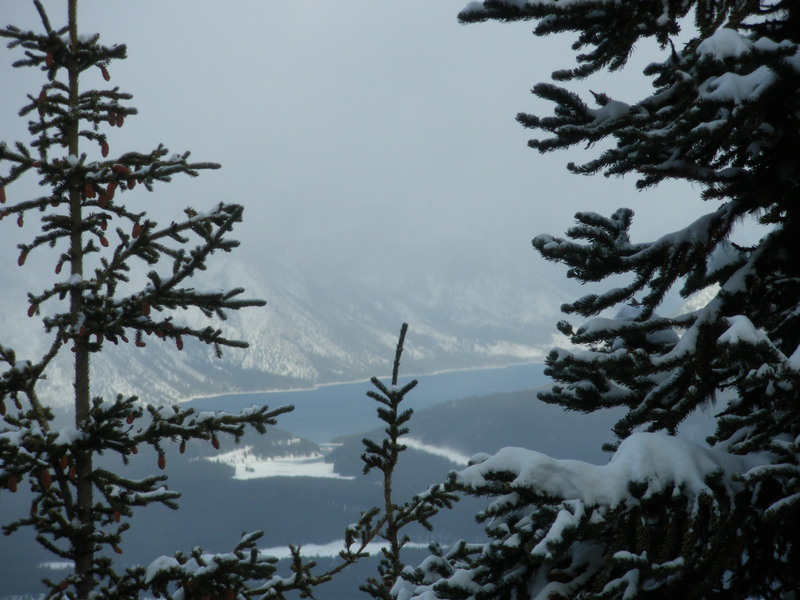 This sounds like an amazing day – snow and hot springs? Yes please!